Children sometimes have a trouble with language processing, making it difficult for them to communicate their wants and needs effectively. Parents of children with speech difficulties know how difficult and stressful it can be to raise these children. 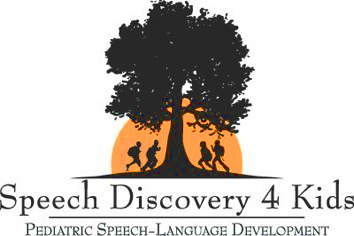 At Speech Discovery for Kids, Inc. we've made it easy to get the help you need. We offer a range of speech therapy options for children and parents to ease communications and alleviate that stress. Our patient, caring team in Huntersville, North Carolina, can help you and your child move beyond your communication problems and enjoy a happier, more effective relationship. With most children, you can expect the same milestones at certain ages. Even though each child develops at a unique pace, there are several milestones that most children will reach. One-year-olds should babble and mimic common sounds. They'll also have at least one word in their vocabulary. At two, most children understand what is said to them and can follow directions. They'll also have 20 words in their vocabulary and may use one to three word sentences in proper context. Children from three to four should have a strong vocabulary and use full sentences to communicate, and they should be confident with most sounds. By five, the child should be able to carry on a conversation, be easily understood by most people, and not stutter. Older children should remember things, recall experiences from the day, forge relationships, and describe and explain without filler words such as "stuff" and "um". If your child has not met these milestones, there may be concern with your child's speech or language processing, and a speech therapy referral may help. Childhood apraxia of speech is a neurological disorder that causes the signals from the brain to ineffectively get to the muscles in the lips, cheeks, jaw and tongue to move to create speech. Apraxia of speech is neurological in nature. Children with apraxia struggle with sequencing sounds and syllables, forming words and putting words together when trying to communicate. Children with apraxia can be difficult to understand. Other names for apraxia can be dyspraxia, developmental verbal apraxia, or verbal dyspraxia. Children with apraxia may appear to be searching, groping, or struggling to attempt to produce speech. Children with apraxia may be able to produce spontaneous speech but imitating speech may be very difficult. If you have concerns that your child may have apraxia of speech, it is important to have your child evaluated by a speech language pathologist. A speech language pathologist may be able to discount or identify apraxia for you. For further information on Apraxia please visit: apraxia-kids.org. To schedule an appointment or consultation please give us a call! Speech Therapy Is a Team Effort! 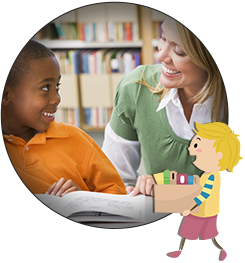 Speech Discovery for Kids is all about working with your family to help you and your child discover their abilities together. Everything we do revolves around being a team player. Sure, we are trained professionals; however, what we do with your child must carry on outside of your child’s session. When you visit our office you’ll receive homework and suggestions for helping child’s skills at home. Feel free to ask questions!